As a comprehensive reference dedicated to sound and vibration in buildings, Building Acoustics and Vibration addresses the basic and advanced principles that can be used to solve practical and theoretical problems typically encountered in building and architectural acoustic practices. In addition, physical and mathematical concepts are introduced and developed sufficiently to make this publication a self-contained and up-to-date source of information for readers. Building Acoustics and Vibration is a must-have textbook for engineering students, engineers, and consultants involved in the sound, vibrations and building environment. 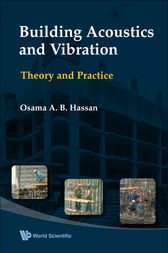 With comprehensibility and versatility in the presentation of knowledge, this highly anticipated publication will easily fill the gap in the literature of building engineering and sciences, which presently lacks an authoritative guide on the theoretical and practical aspects of building acoustics and vibration.